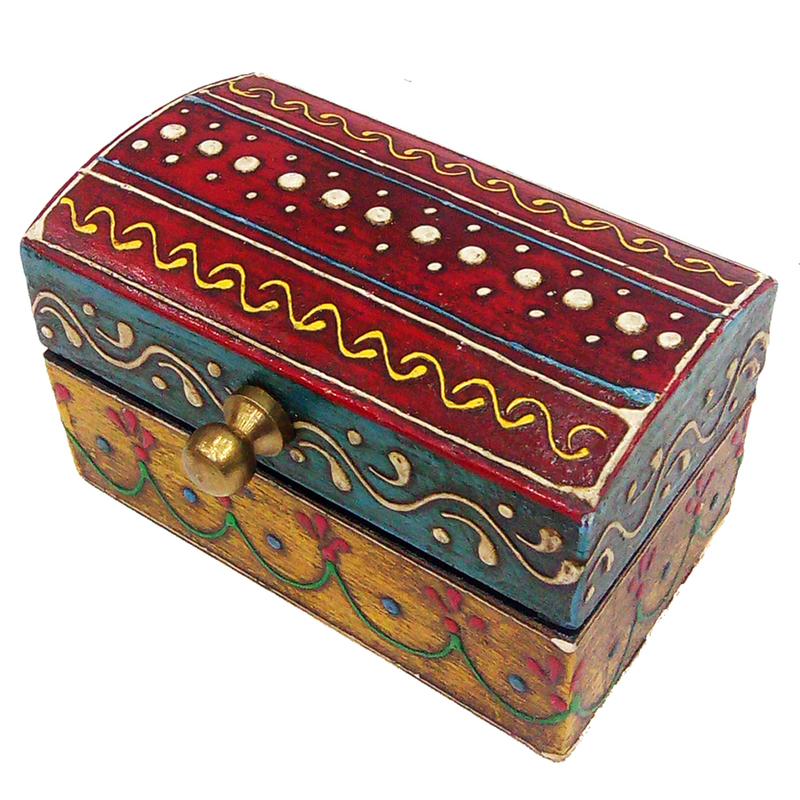 The Designer Multicolor Wooden Embossed Box is bound to impress the buyers looking for making classy addition to their home décor. This wooden box features Read More..sturdy design, which complements the present of finely executed embossments on its wooden body. Carved from premium quality wood, this box hosts a myriad of eye-catching patterns in lively shades on its body. This wooden box is also of practical usage, with the sturdy design providing a fine refuge for valuables of its owners. Show Less..